Banoffee is a delightful creation given to us by the Brits. Originally a pie, it consists mainly of bananas and toffee, hence the appropriate – if not creative – name. Just for the fun of it, I created a version that incorporates chocolate as well, which definitely pairs well with both banana and toffee. 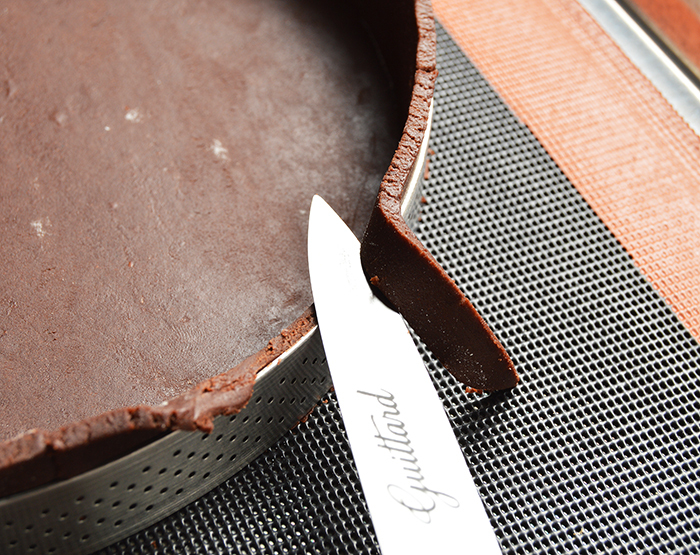 As always, yield will vary depending on what equipment you use, but with the tools I outline below, this recipe will give you one 9″/22.8cm tart. 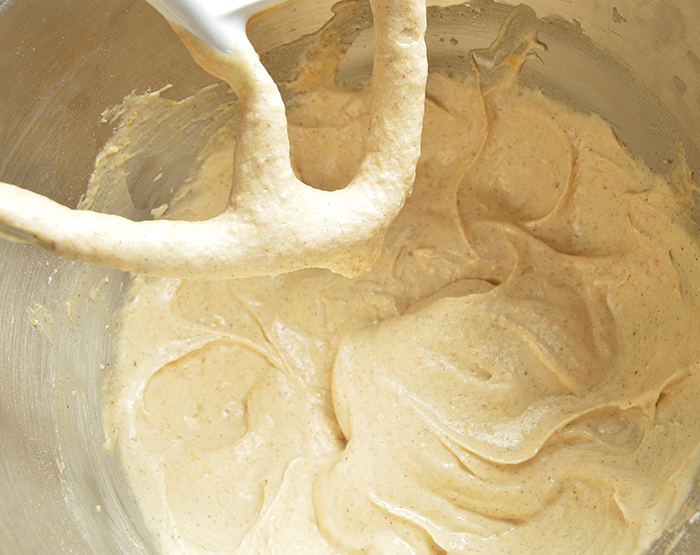 As with any multi-component pastry, this recipe will take a little planning, as ideally it will need two days to finish. I’ve outlined how I would organize my time for this project, but of course you can adjust this to your schedule (all of the components will hold just fine for at least three days before being assembled). Hopefully instead of seeming overwhelming, doing this type of simple organizing will help you to tackle any project that comes your way. I always feel it’s easier to lay it out step by step. 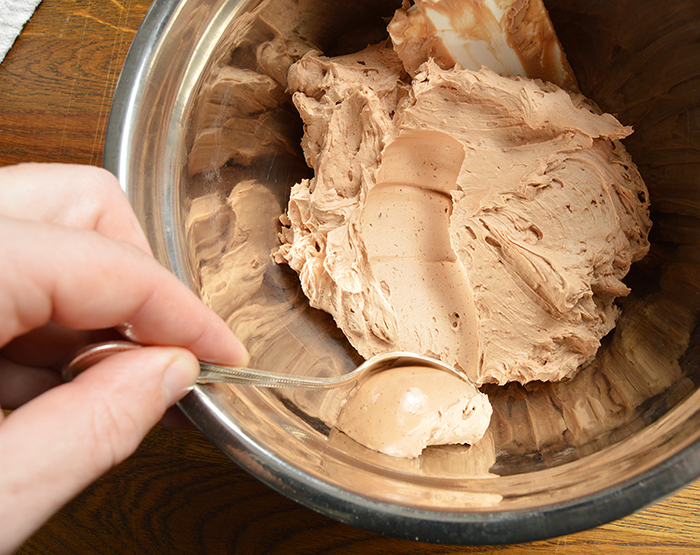 Make the chocolate sweet dough**. Let it rest in the cooler for 1-2hr. 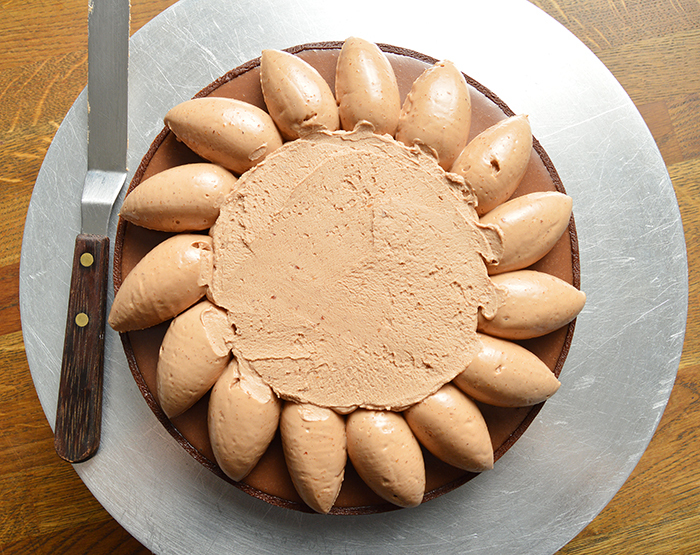 Line the tart shell and let it rest in the cooler, uncovered. Make the banana cake and reserve in the cooler. 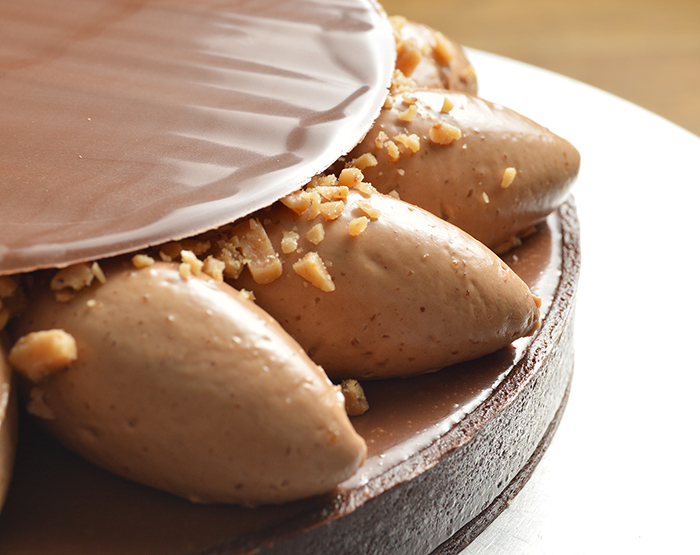 Make the milk chocolate toffee chantilly and reserve in the cooler. 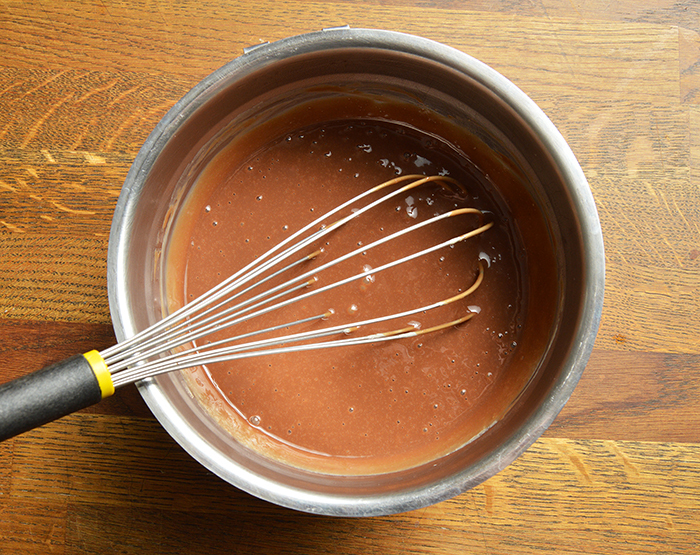 Make the dulce de leche and reserve at room temp. 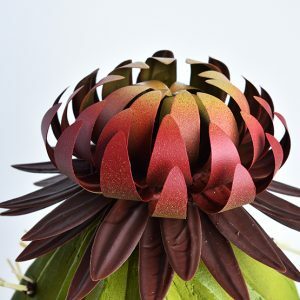 *chocolate has a really long shelf life, so you can make your decoration days or even weeks in advance, as long as you keep the finished project in a cool place, preferably dark place. 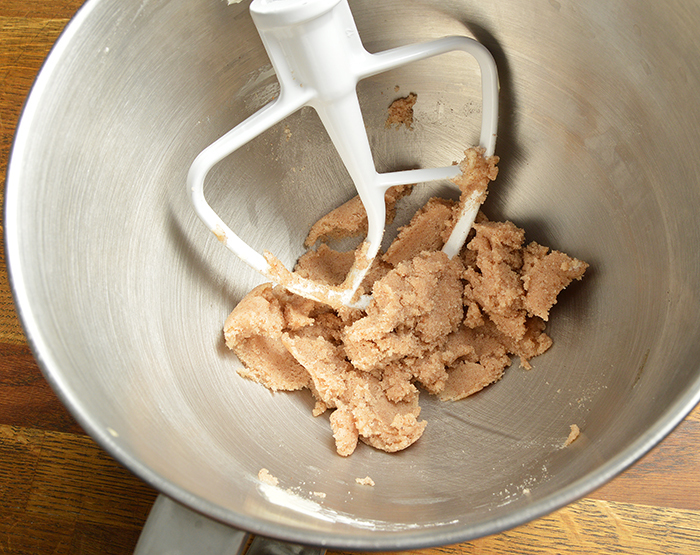 **you can make the sweet dough well in advance and keep it frozen until you’re ready to make the tart. Cut and assemble the banana cake. 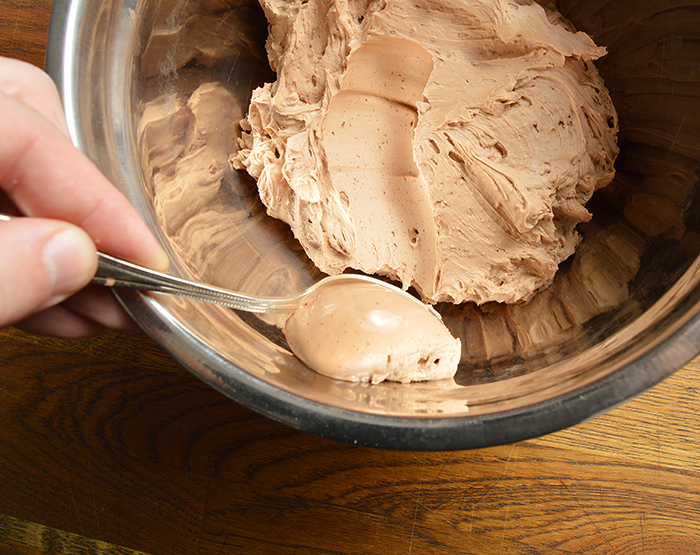 Make the milk chocolate chocolate custard. 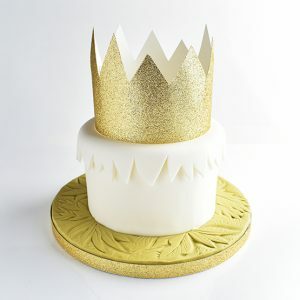 Cast it over the cake and freeze. 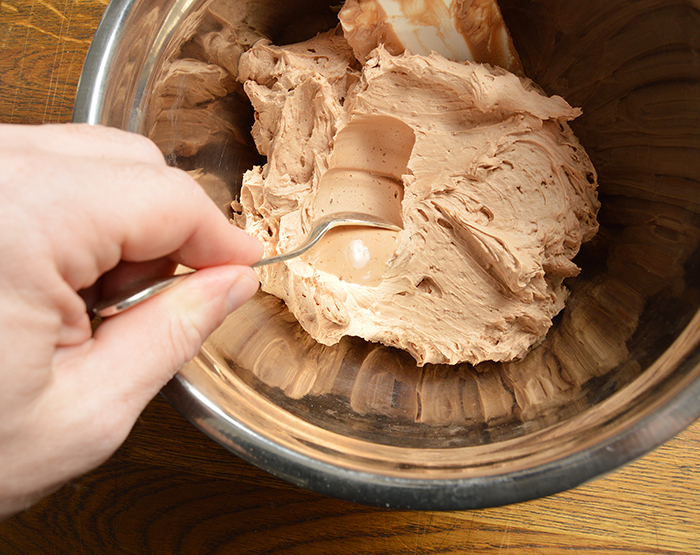 Whip the milk chocolate toffee chantilly. Assemble and decorate the tart. 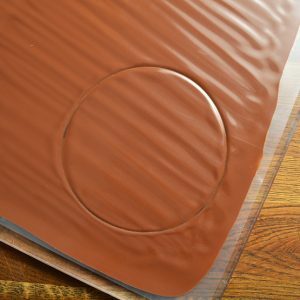 While a standard tart ring and parchment paper will make a handsome tart shell, for anyone looking to really hit the perfect look, I recommend getting this non-stick baking mat and this tart ring. 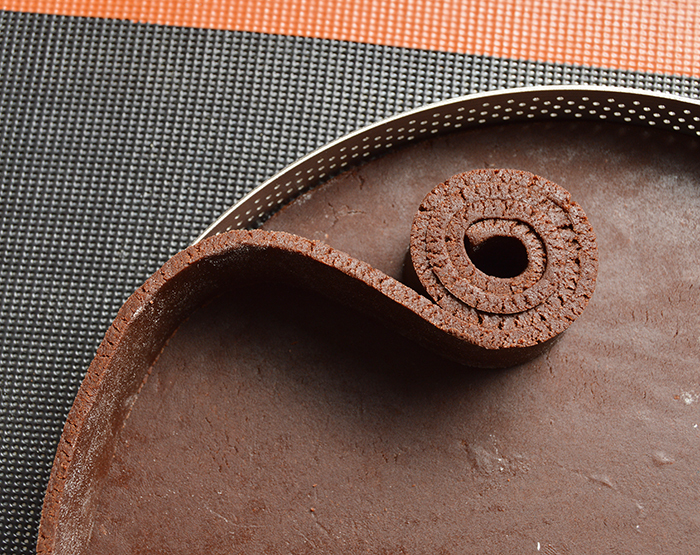 The perforation in both allow steam to escape on all sides during baking, which avoids and air pockets from forming between the dough and the ring/pan. I always recommend letting the raw tart shell dough rest in the cooler overnight (after it is lining the tart shell) because that will allow the dough to dry out and result in less shrinking during baking. The best banana cake is made with deeply ripe bananas. Wait until the peel has turned mostly brown, which is a good indicator of the developed sugar content and flavor of the banana. 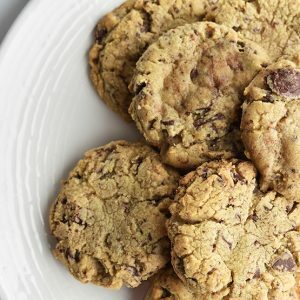 Brown bananas are a hard no for eating in my book, but the only one to use for baking. 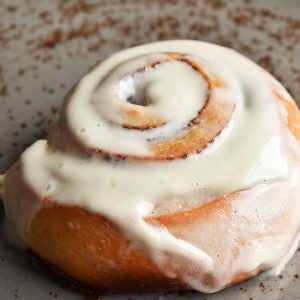 All you need is one can of sweetened condensed milk for this recipe. 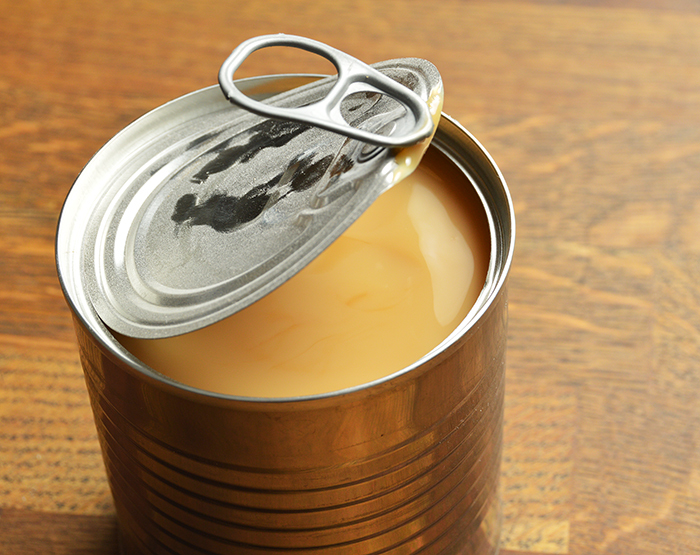 Place the can of sweetened condensed milk into a pot of water, making sure its submerged by 1-2”/2.5cm-5cm of water. Bring the water up to a simmer and cook for about 1hr 30min or about 1hr 30min for lighter, thinner dulce de leche and 2hr 15-30min. 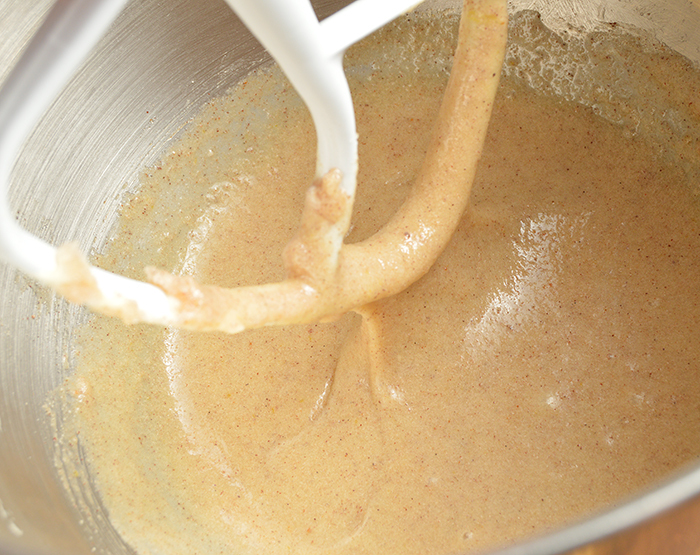 for darker, thicker dulce de leche. Flip the can half way through the cooking time (be careful! I like to use a pair of tongs to do this). Add more water as needed to keep the can submerged. 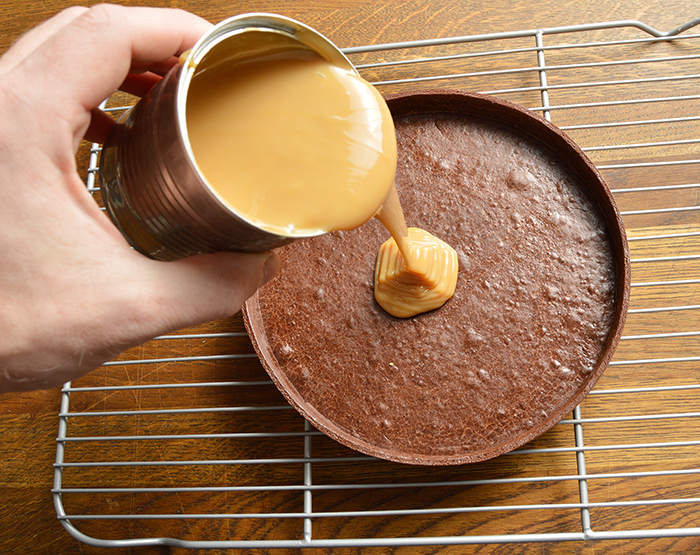 Let the can cool, then reserve the dulce de leche to use during assembly. I opened this can to give you a little sneak peak of the finished product, but keep you dulce de leche sealed until you’re ready to use it. 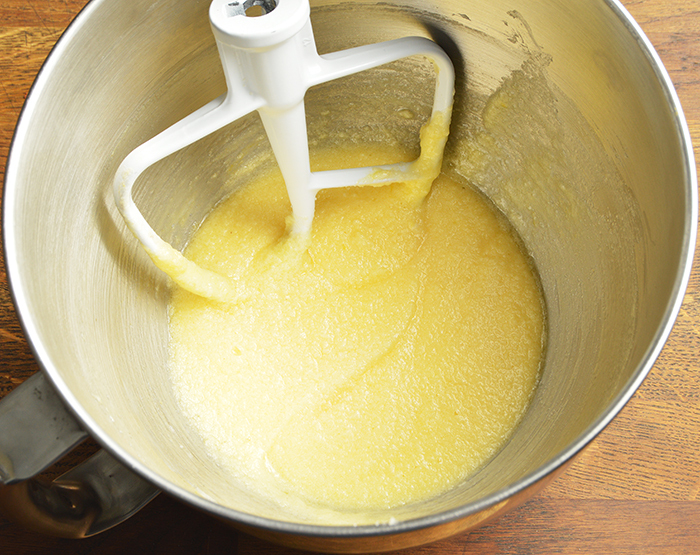 Cream the butter and sugar together in a stand mixer with a paddle attachment. 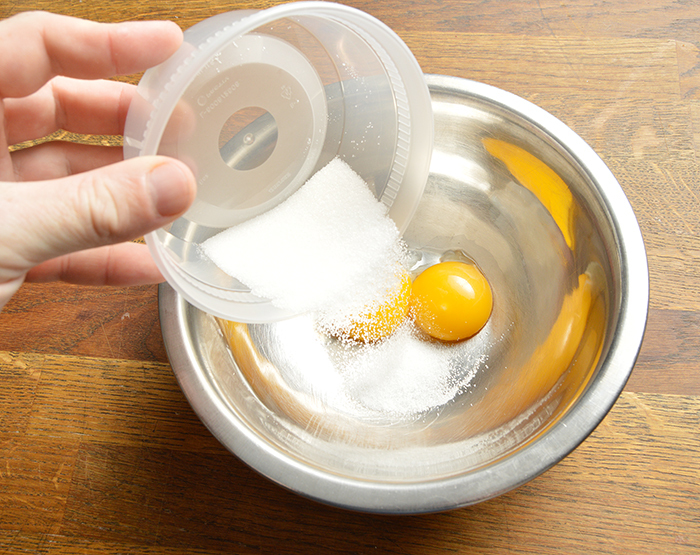 Add the whole eggs and mix until well emulsified. 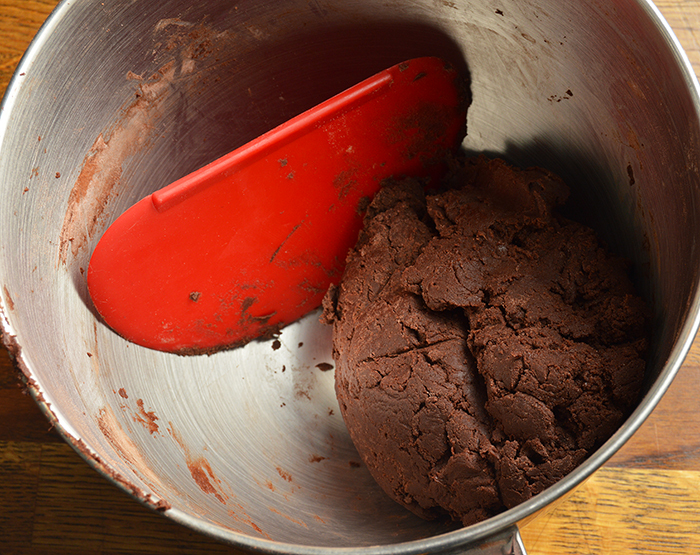 Sift the pastry flour and cocoa powder together and add it to the mixture, mixing until just combined. 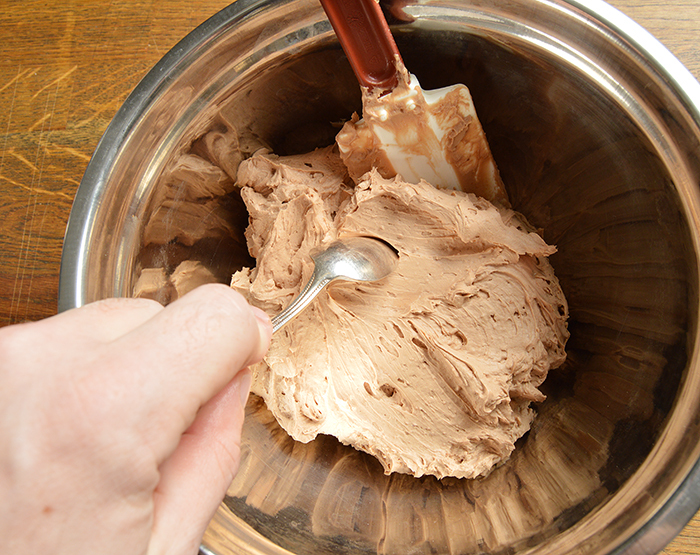 I like to finish the dough by hand with a dough scraper. Wrap the dough and chill it for a minimum of 1hr. before using it. Bring the butter, whole egg, and sour cream to room temp before getting started. 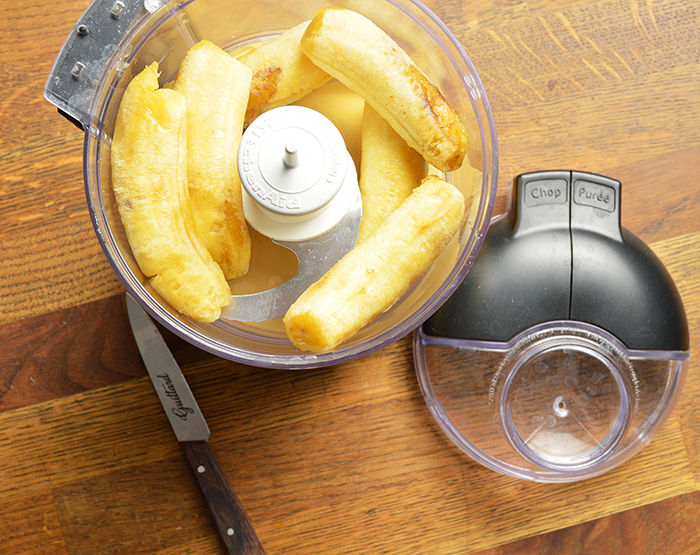 Process the bananas in a food processor until smooth and reserve to use later. 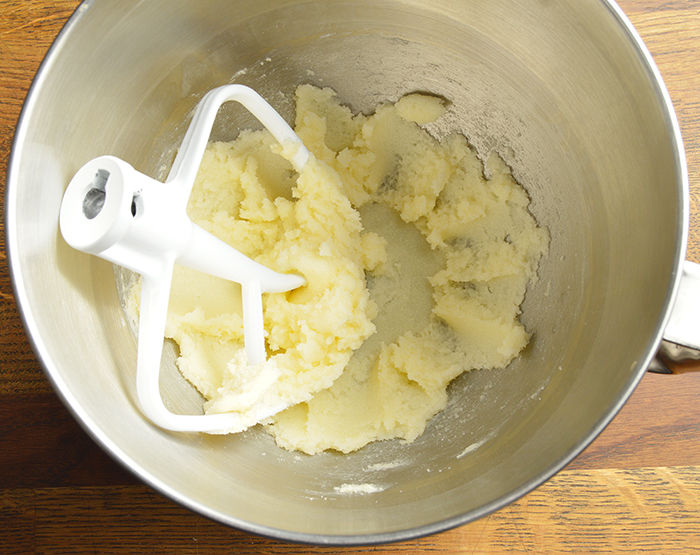 Cream the butter, sugar, vanilla extract, salt, cinnamon, and nutmeg together in a stand mixer with a paddle attachment. 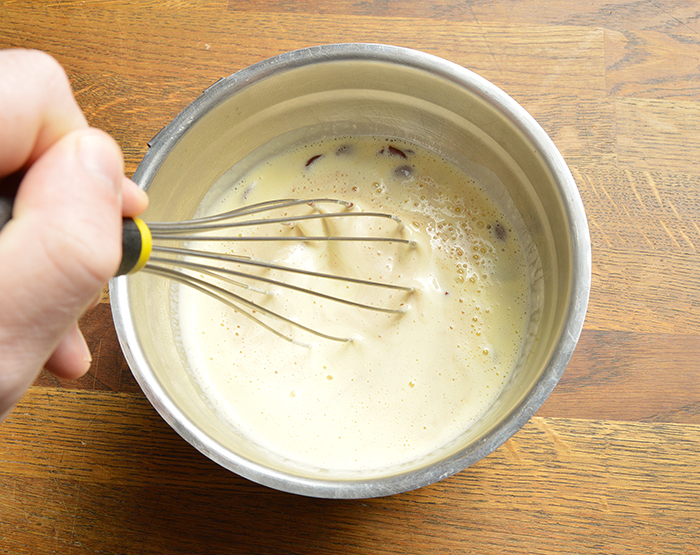 Add the whole eggs, and sour cream and mix until well emulsified. 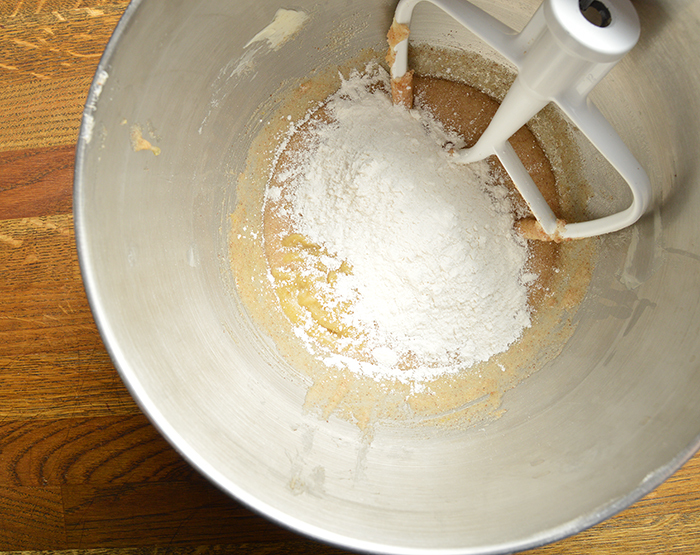 Combine the cake flour and baking powder and add to the batter, mixing until just combined. 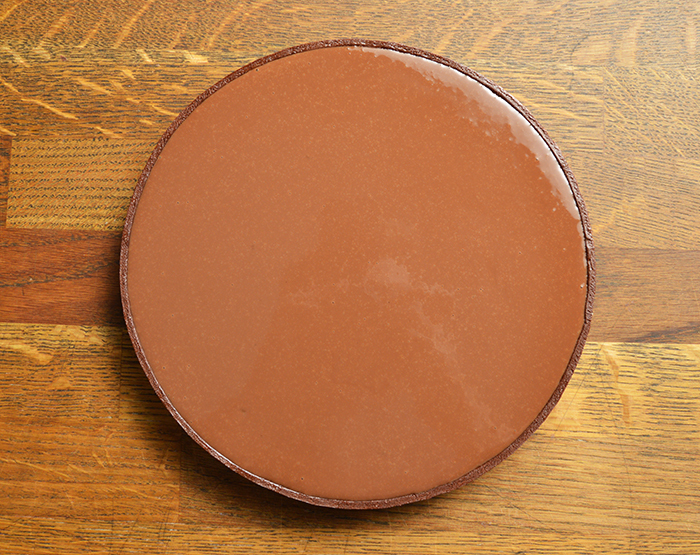 Cast the batter in your cake pan. 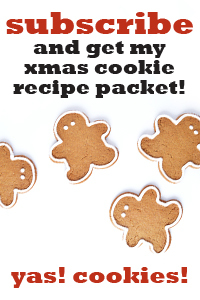 For this project I used a 6.5×2″/16.5x5cm non-stick baking pan. 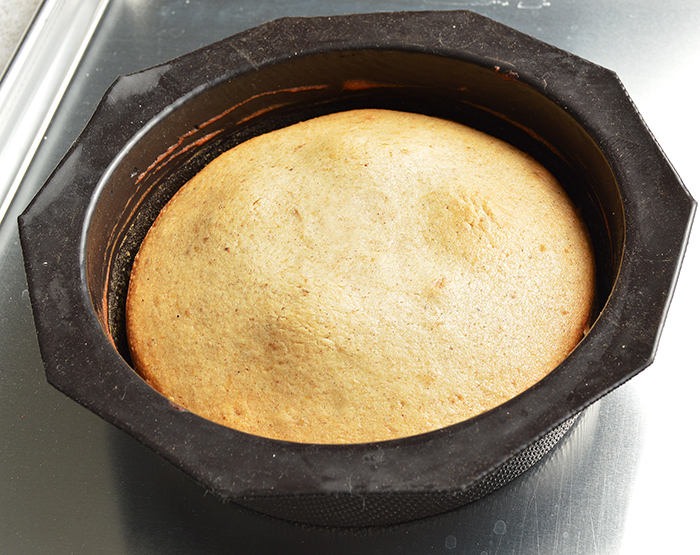 Bake the cake at 350F/176C for 20-25min., rotating the pan halfway through baking. 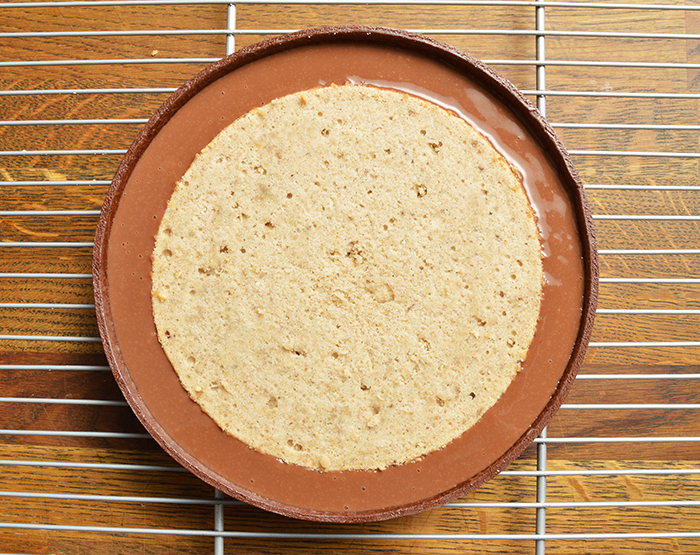 Let the cake cool, then wrap it and keep it in the refrigerator to firm up (this will make it easier to cut cleanly). 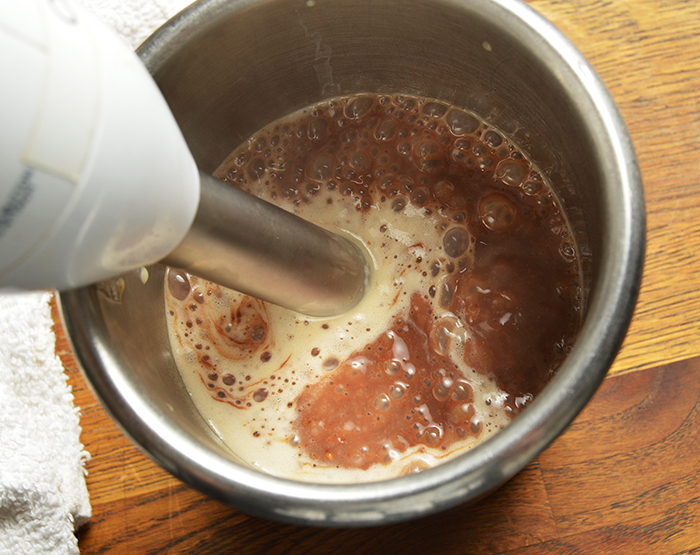 Combine the heavy cream and toffee pieces and heat gently, allowing the toffee to fully dissolve. Add the glucose and bring the mixture to a simmer. 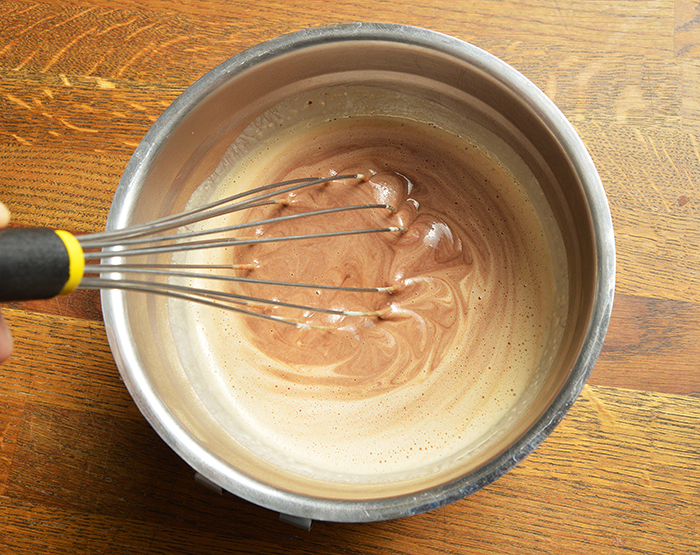 Pour the hot liquid over the chocolate and add the inverted sugar. Hand blend briefly to homogenize and let the mixture set in the cooler for 8-10hrs. This recipe can be made ahead of time and then smoothed out and piped into the tart during assembly, or made as needed and cast hot during assembly. 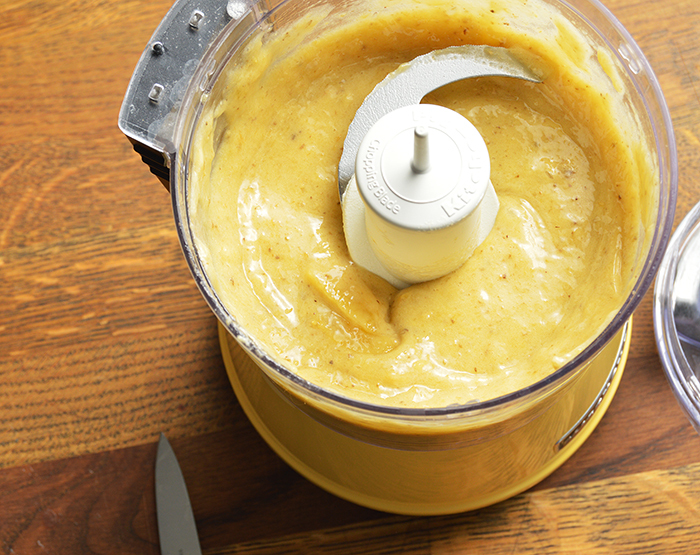 Casting the custard hot will give a smoother, more even final finish. Hydrate the gelatin in cold water for a minimum of 5min. and reserve to use later. 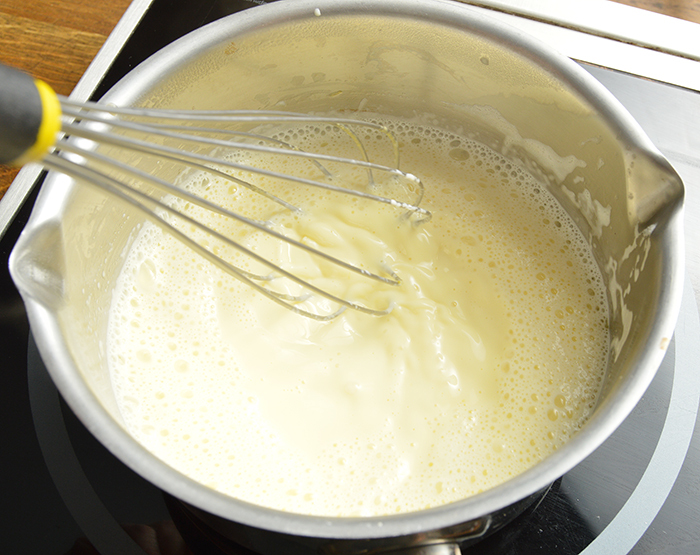 Combine the heavy cream, salt, and vanilla paste in a medium sauce pot and bring to a simmer. 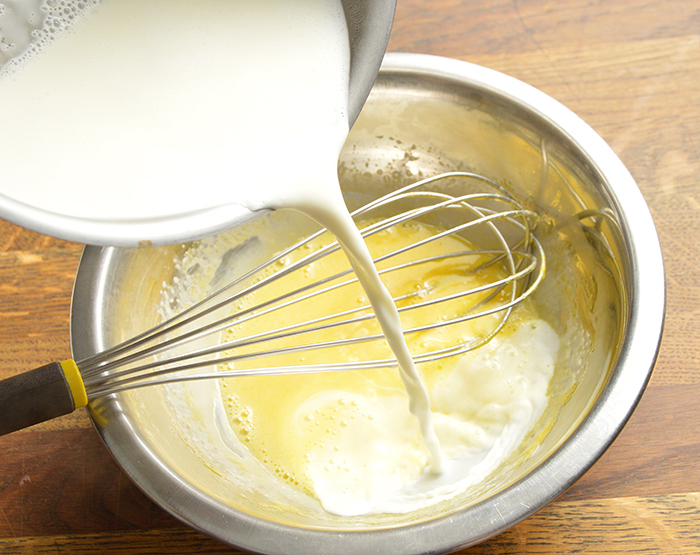 While the heavy cream is heating, combine the egg yolks and sugar, whisking well to combine. 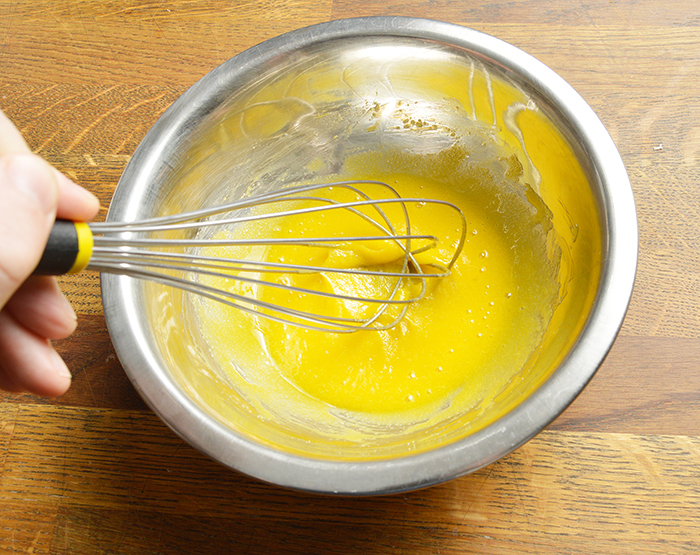 Temper the hot cream into the yolk mixture in a few small additions, whisking well with each addition. 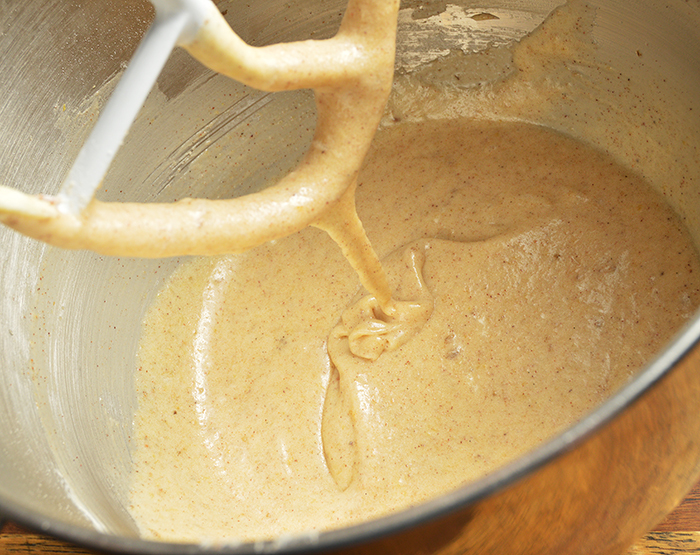 Transfer everything back to the sauce pot and cook over medium-high heat, whisking continuously, to 185F/85C. 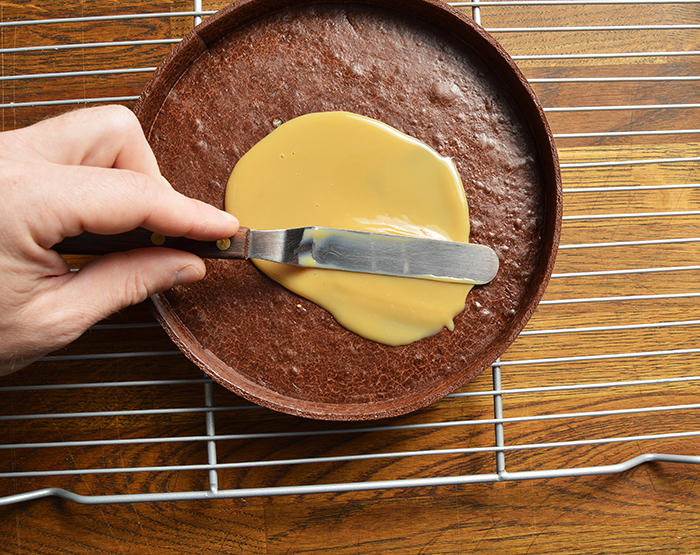 Pour the hot custard base over the chocolate and hydrated gelatin. 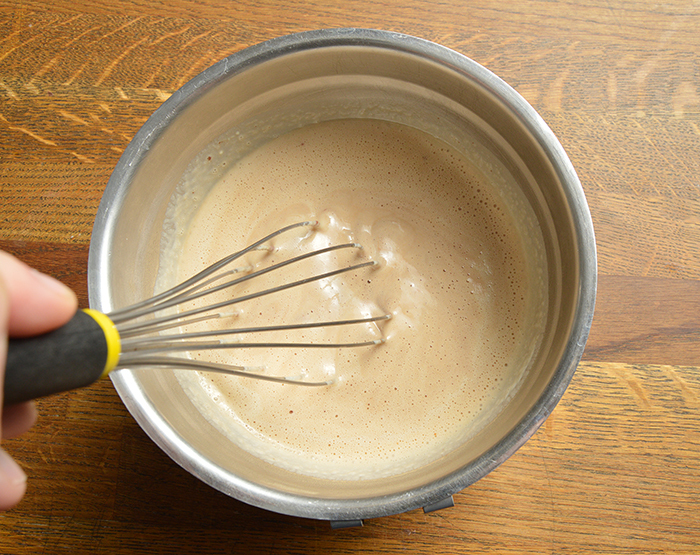 Whisk or hand blend the mixture until well emulsified. 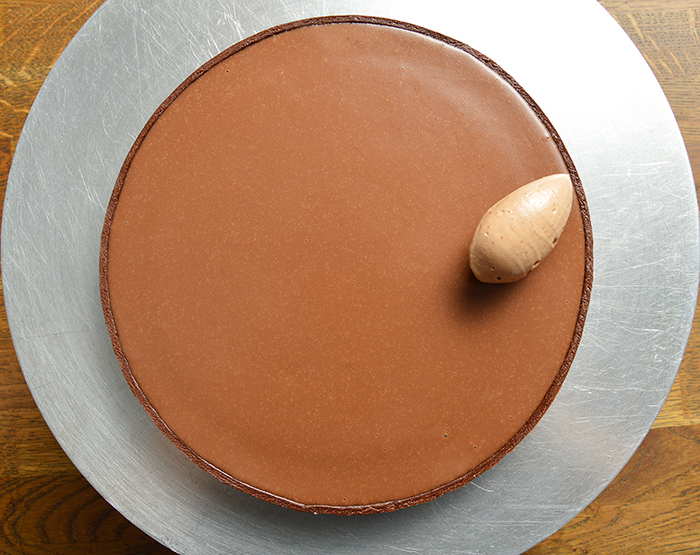 Since chocolate is so shelf stable, I like to make my chocolate decorations before assembly. 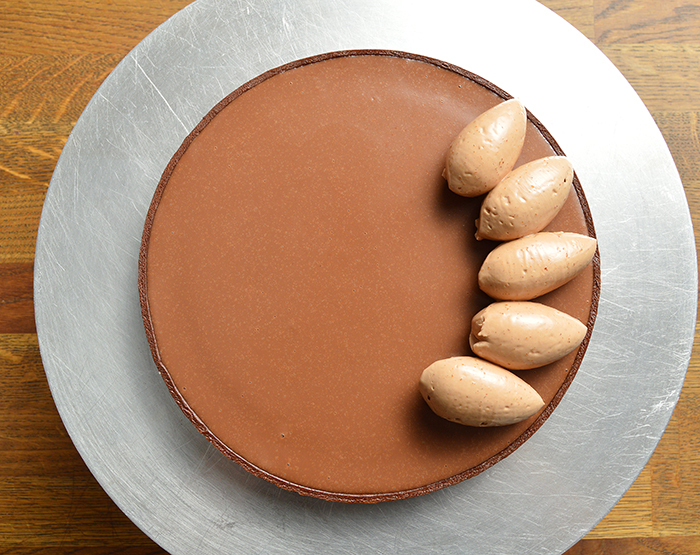 To see how I made the plaque for this tart, jump over to the post here. 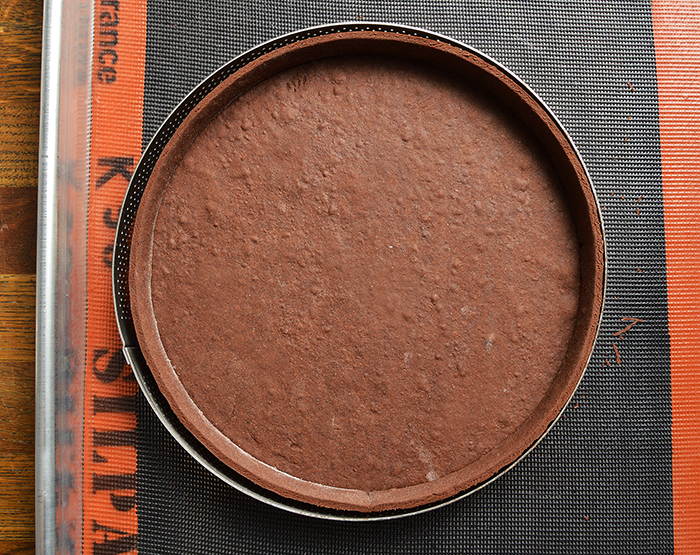 Roll the chocolate sweet dough to 1/8”/.3cm. 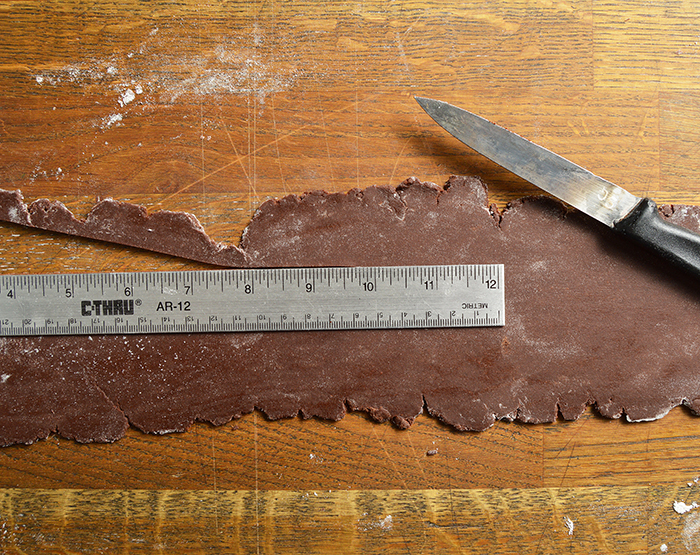 Cut a strip of dough the height of your tart ring and long enough to cover the circumference. 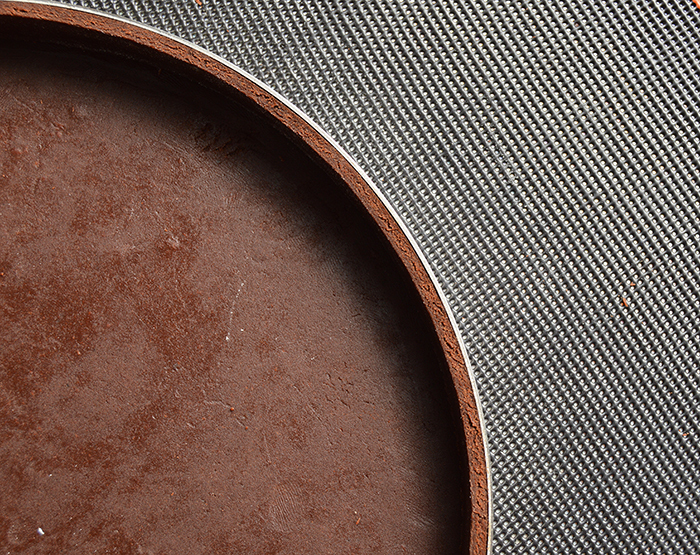 For a 8”/20cm ring your dough will be 1″/2.5cm wide x 25.5″/65cm long. Gently roll the strip of dough up to use. Line the dough inside the tart ring. 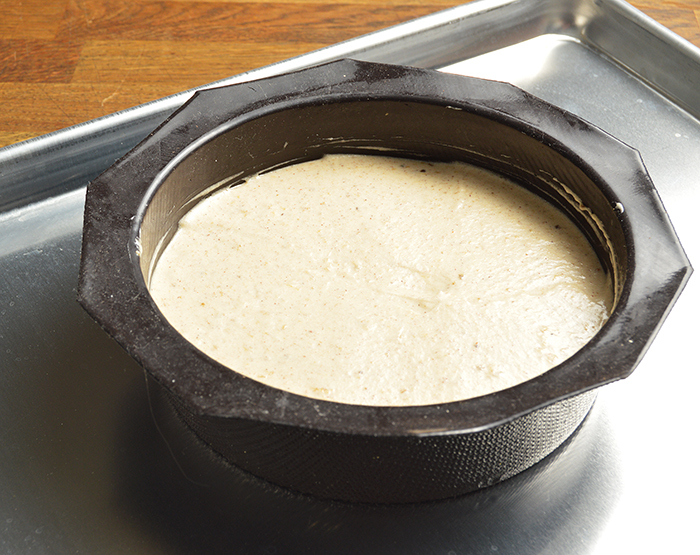 Roll more dough to 1/8”/.3cm and place the ring over it, pressingly evenly into the dough to create the tart base. 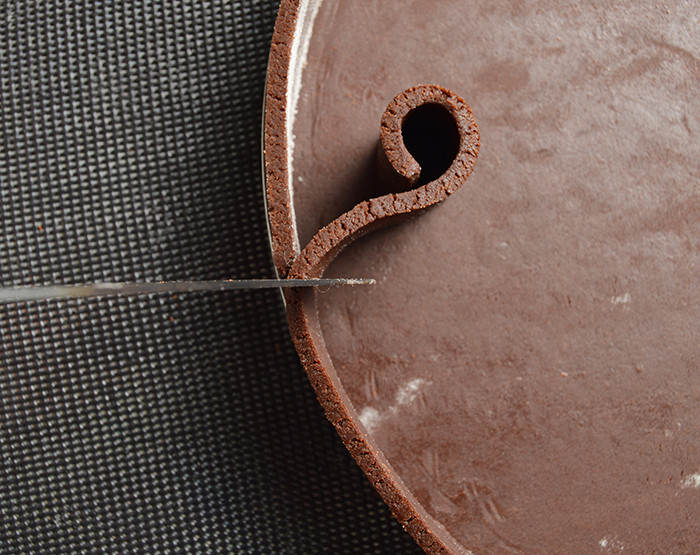 Trim the top of the tart ring. 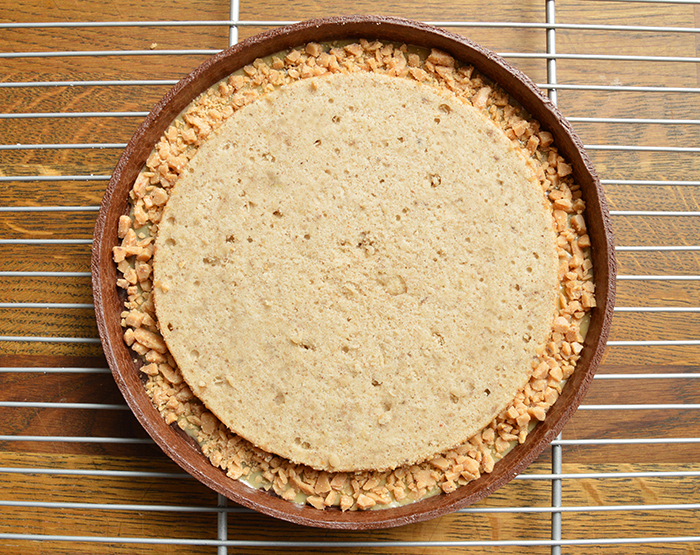 Let the raw tart shell rest in the cooler, uncovered, for a minimum of 2hrs up to overnight. 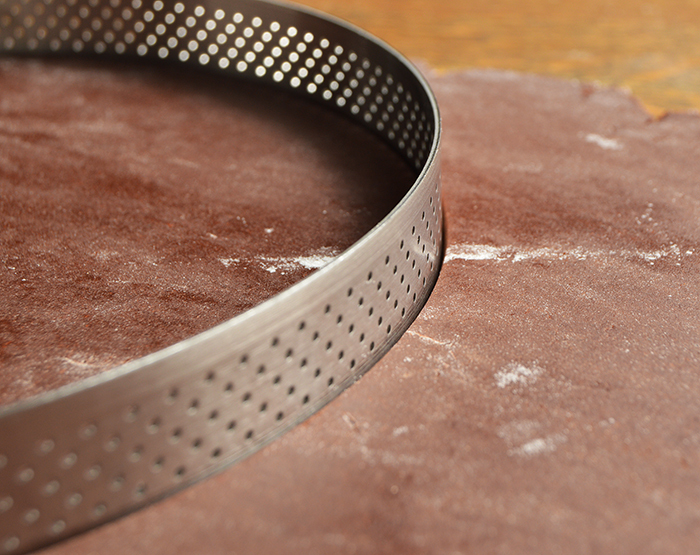 If you use the perforated ring and baking mat, you do not need to dock the dough. 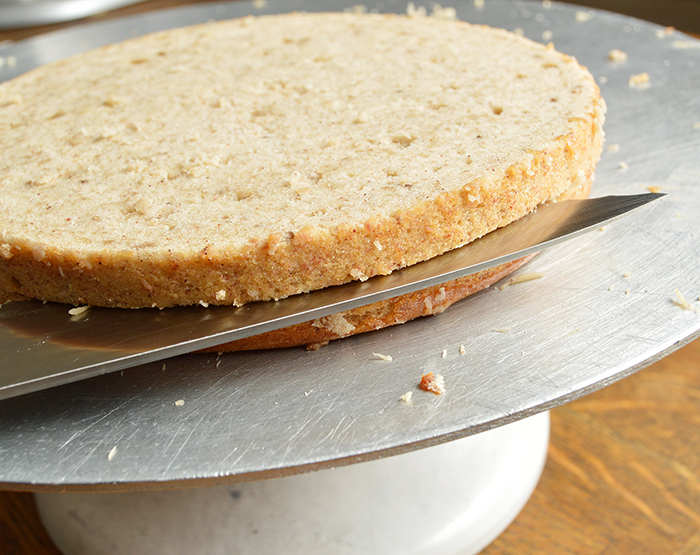 If using a standard ring and/or parchment paper or baking mat, lightly dock the base of the tart before baking. Bake the tart shell at 350F/176C for 20min. Brush the shell with a thin layer of egg white and bake for 3-5min. to seal the dough. 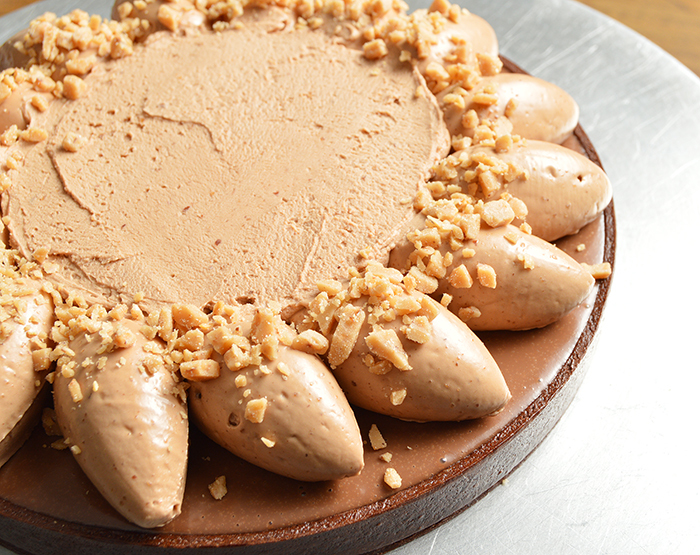 Let the tart shell cool and spread a thin, even layer of dulce de leche over the base of the shell. 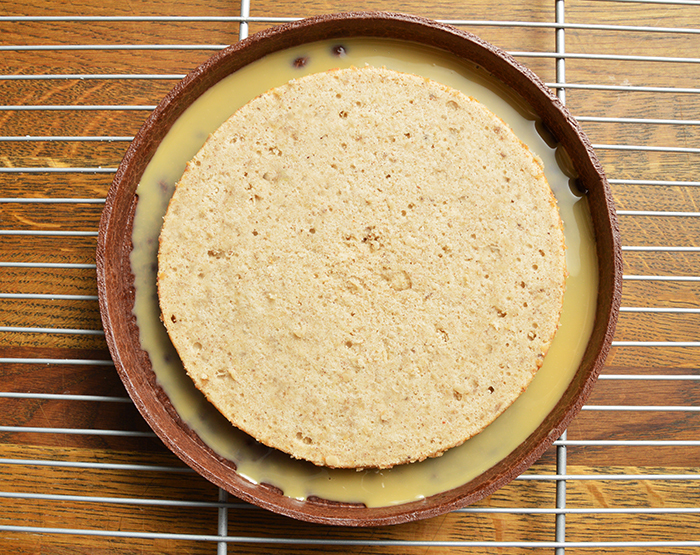 Cut the banana cake into a ¼”/.6cm slice and place onto the dulce de leche, centering it in the tart shell. 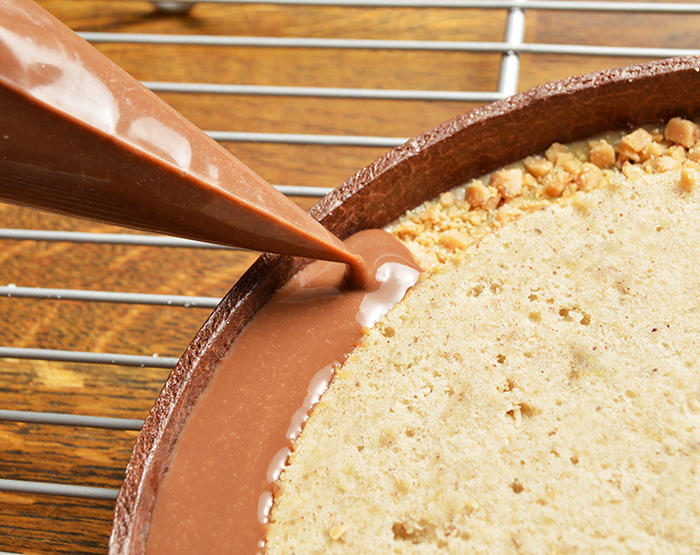 Sprinkle a light coating of toffee pieces around the gap between the cake and the tart shell. 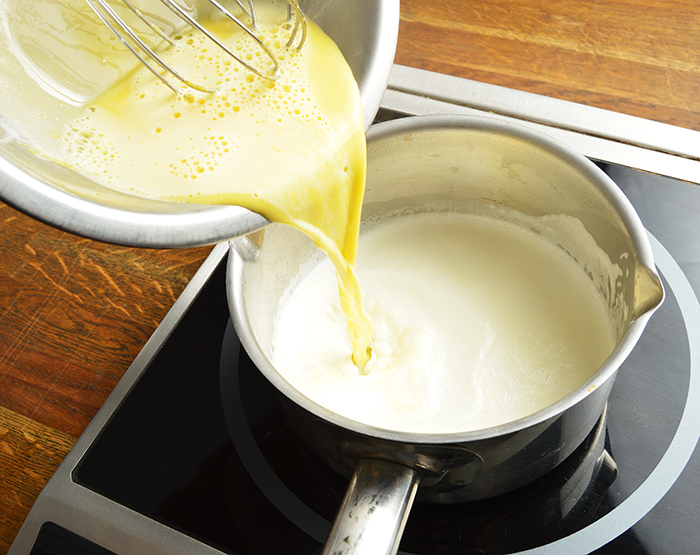 If you made the custard ahead of time, gently warm it in the microwave, stirring between heating, until it is fluid enough to pour. 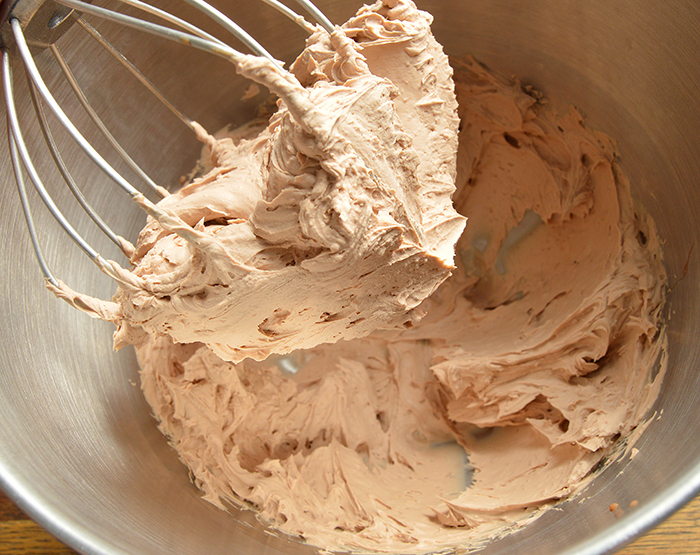 Otherwise, make the milk chocolate custard and let it cool for 5-10min., covered, before moving on to the next step. Using a small piping bag, cast milk chocolate custard around the banana cake, until just covering the toffee pieces and sitting flush with the top of the banana cake. 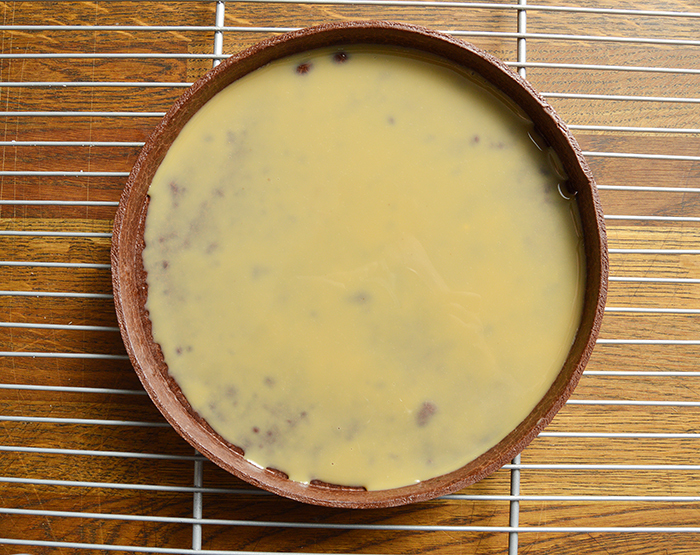 Place the tart in the freezer on a level surface for 15-20min to set the custard. 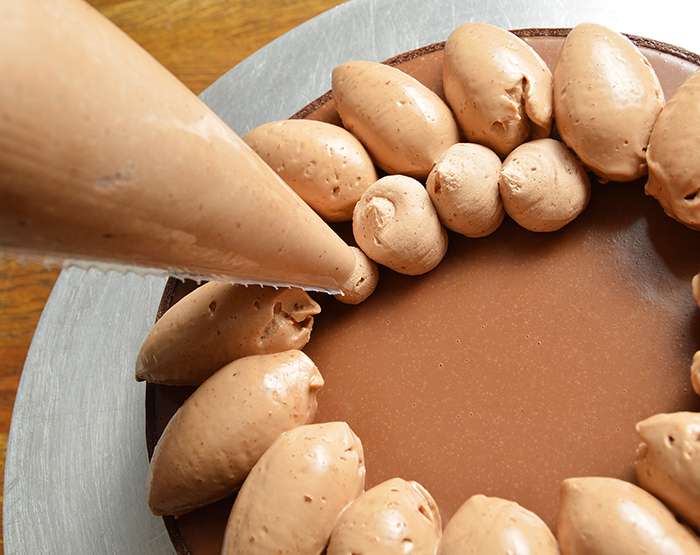 Remove the tart from the freezer and cast milk chocolate custard over the cake until it is flush with the top of the tart shell. Allow the custard to sit for 1-2min. and then carefully move it to the refrigerator on a level surface and allow it to set for 45min.-1hr. Alternately, at this point you could freeze the tart to thaw and finish later. 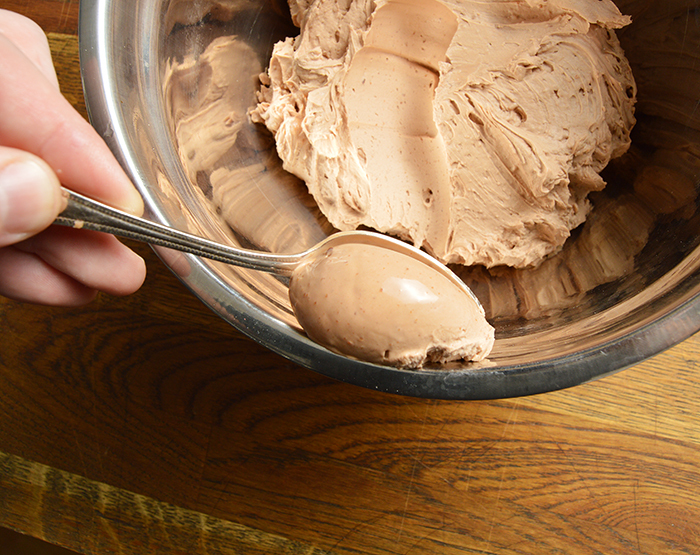 Whip the milk chocolate toffee chantilly until stiff. This will happen very quickly, so be careful not to over whip the cream or it will separate. 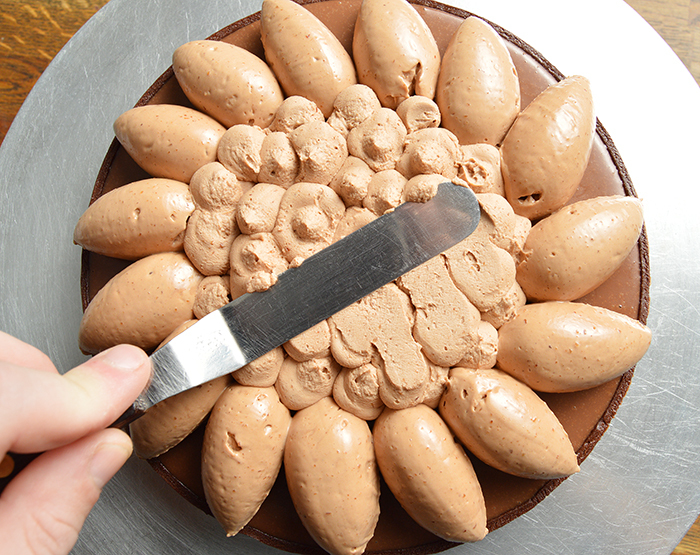 Quenelle the chantilly, placing them in a ring around the top of the tart. 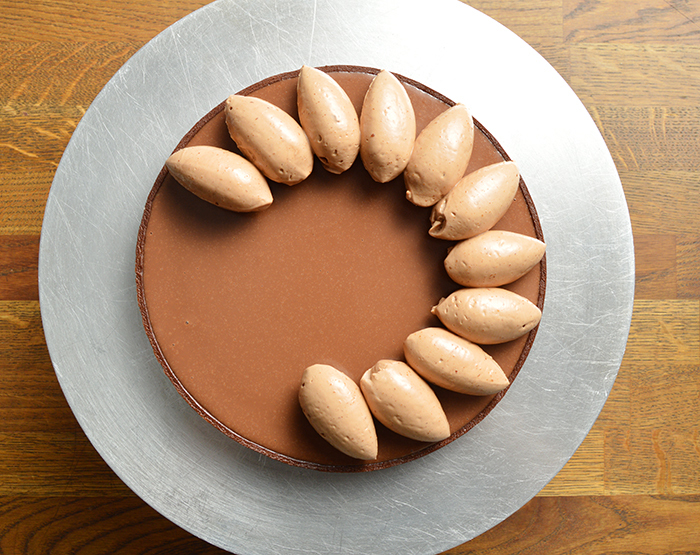 Place the quenelle around the outside edge of the tart. 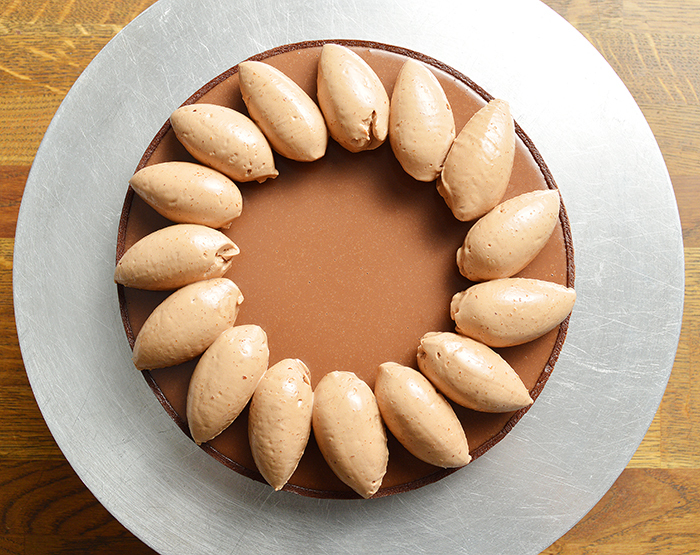 Fill the center of the ring of quenelles with more toffee chantilly and spread it smooth. 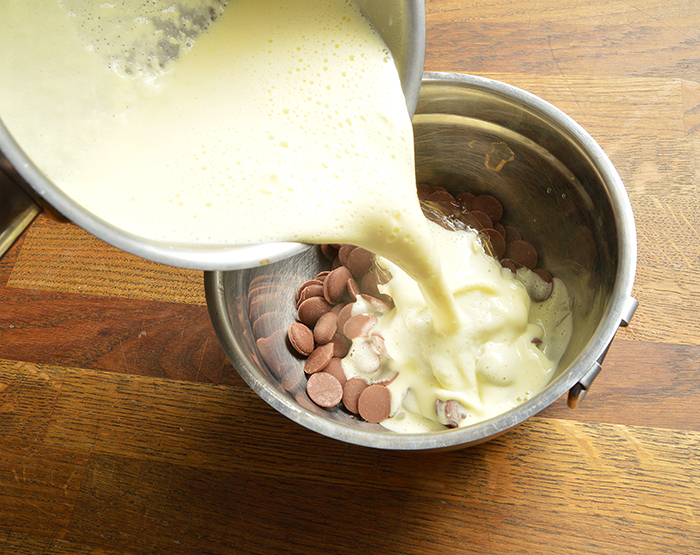 Lightly sprinkle the quenelles with toffee pieces. 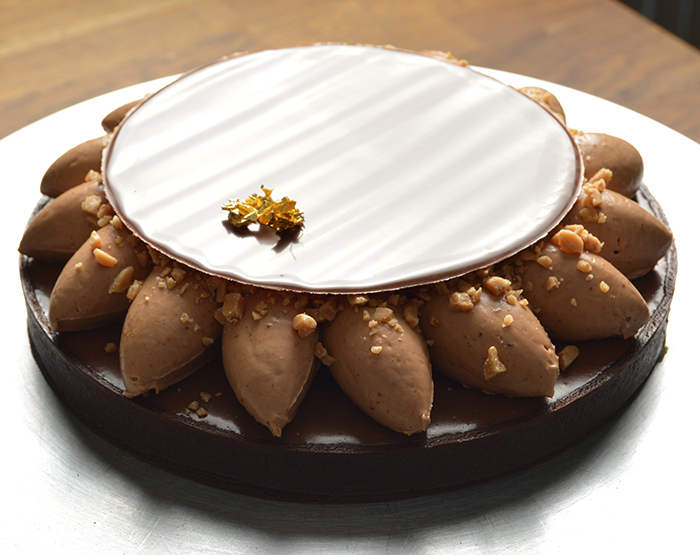 Gently place the chocolate plaque in the center of the chantilly and decorate with gold leaf. If you made it all the way to the finish line, congratulations! Seriously, I mean it. Sit back and bask in glory for a minute, snap a few pics to prove it happened. This was an involved project with lots of steps but I hope was worth it when you see what you were able to create. The best part is, now you get to eat it. 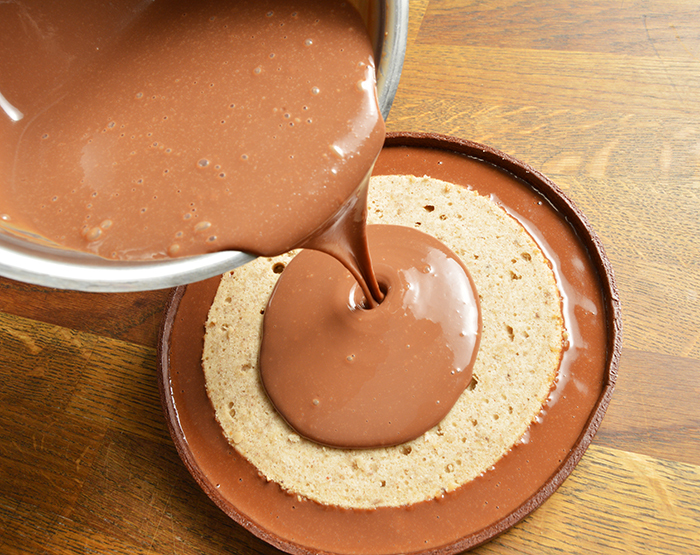 Bring the water up to a simmer and cook for about 1hr 30min for lighter, thinner dulce de leche and 2hr 15-30min. 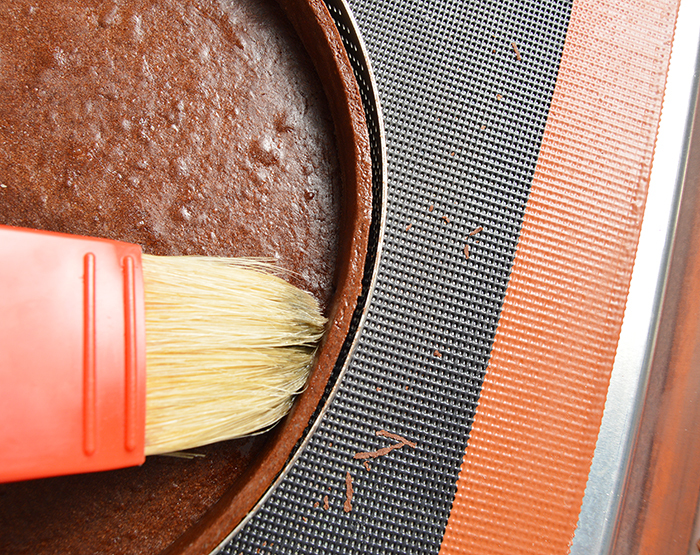 for darker, thicker dulce de leche. Flip the can half way through the cooking time. 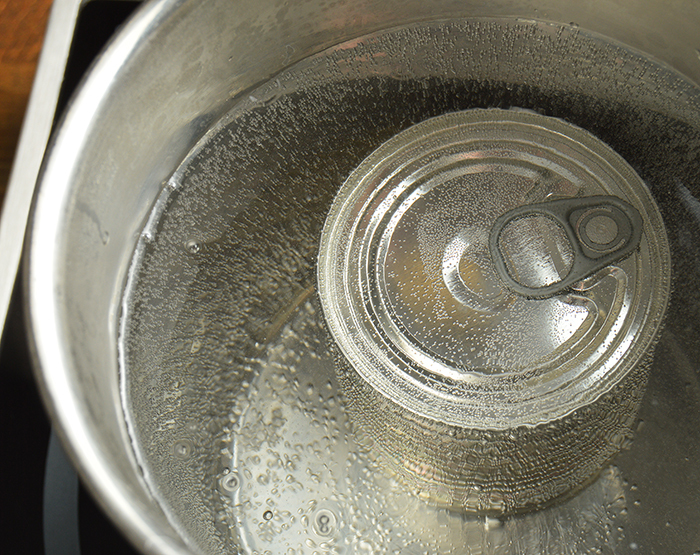 Add more water as needed to keep the can submerged. 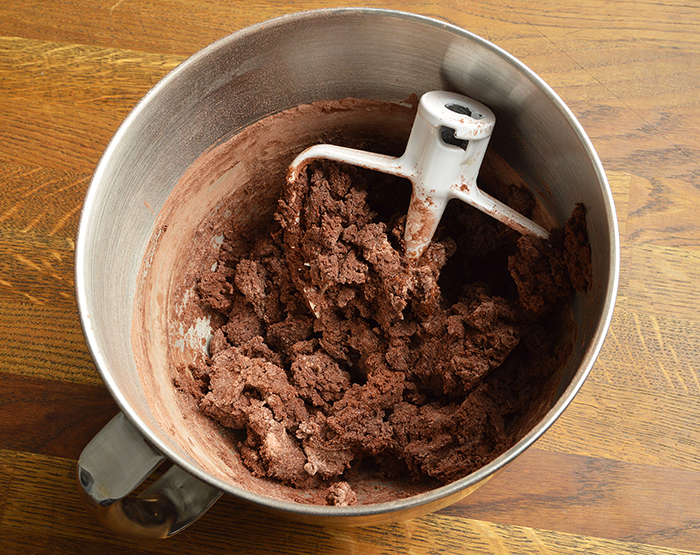 Sift the pastry flour and cocoa powder and add it to the mixture, mixing until just combined. 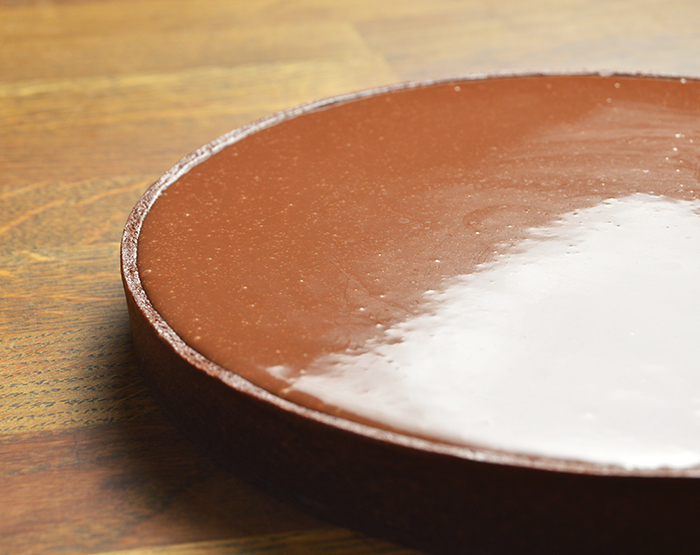 Cast the batter in your cake pan using a 6.5x2"/16.5x5cm pan. 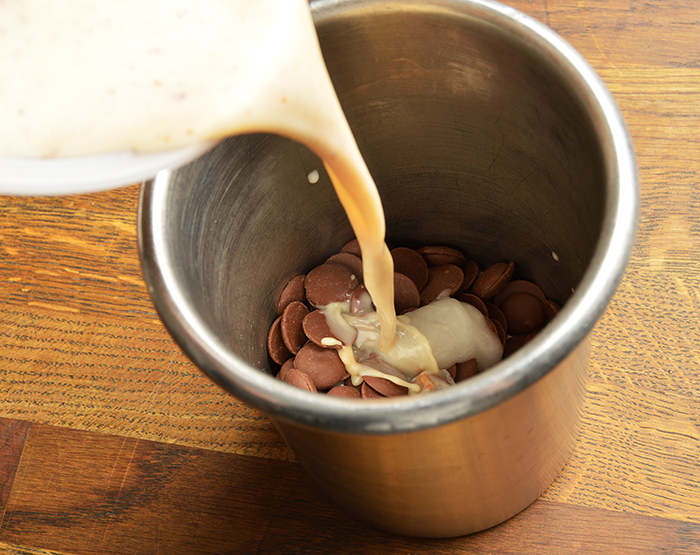 Pour the hot liquid over the chocolate and add the trimoline. 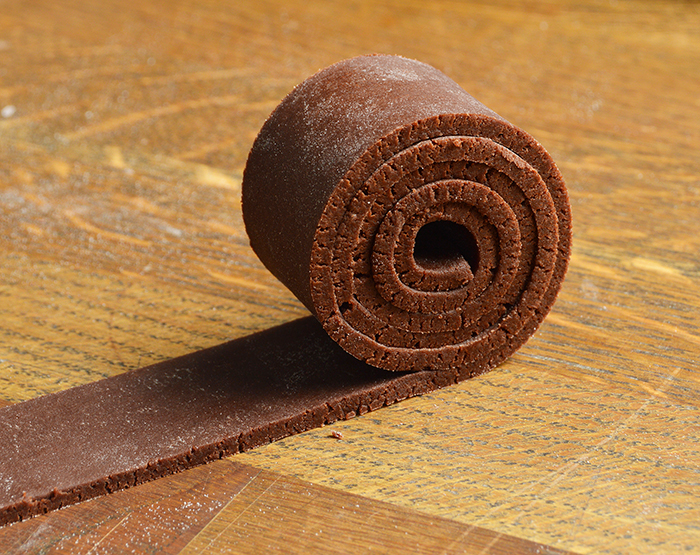 Roll the chocolate sweet dough to 1/8”/.3cm. 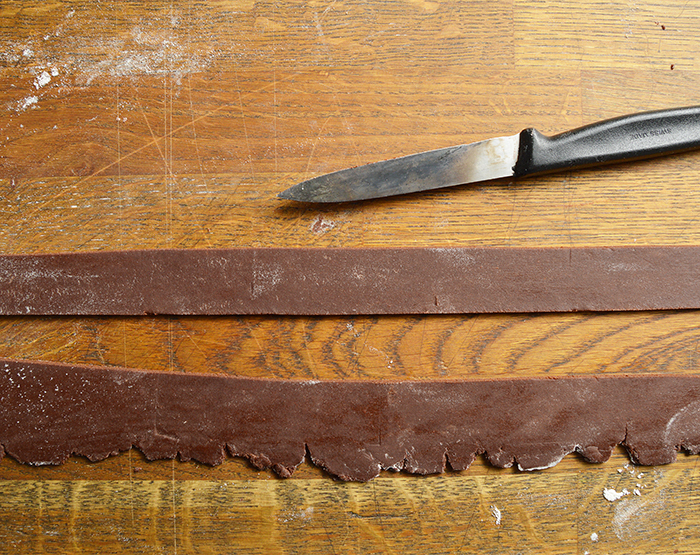 Cut a strip of dough the height of your tart ring and long enough to cover the circumference. 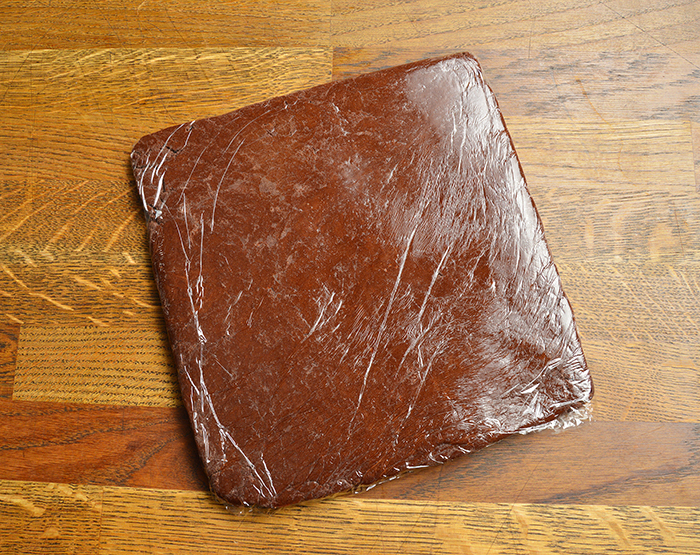 For and 8”/20cm ring your dough will be 1"/2.5cm wide x 25.5"/65cm long. Bake the tart shell at 350F/176C for 20min. 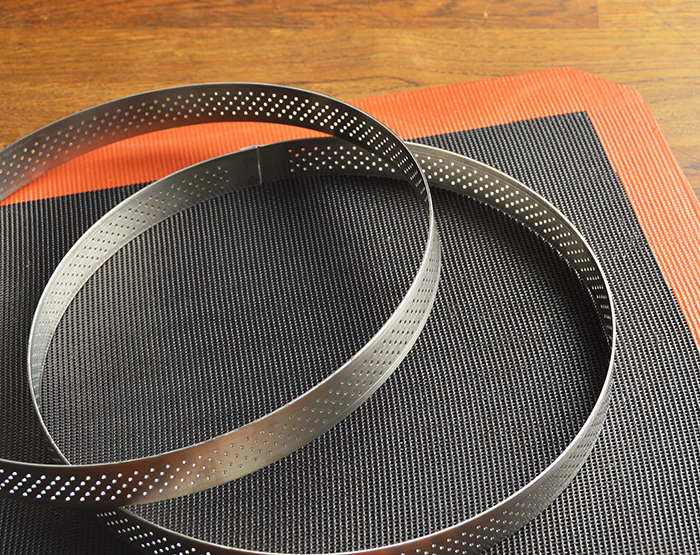 If you use the perforated ring and baking mat, you do not need to the dough. 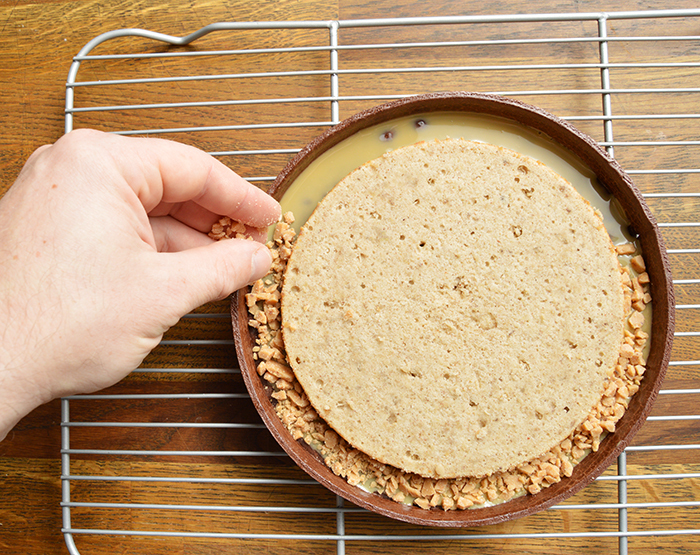 If using a standard ring and/or pat, lightly dock the base of the tart before baking. 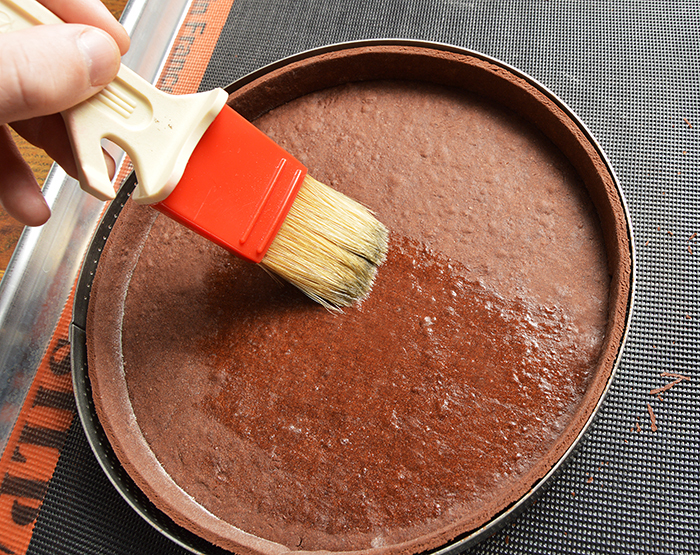 Place the tart in the freezer on a level surface for 15-20min. 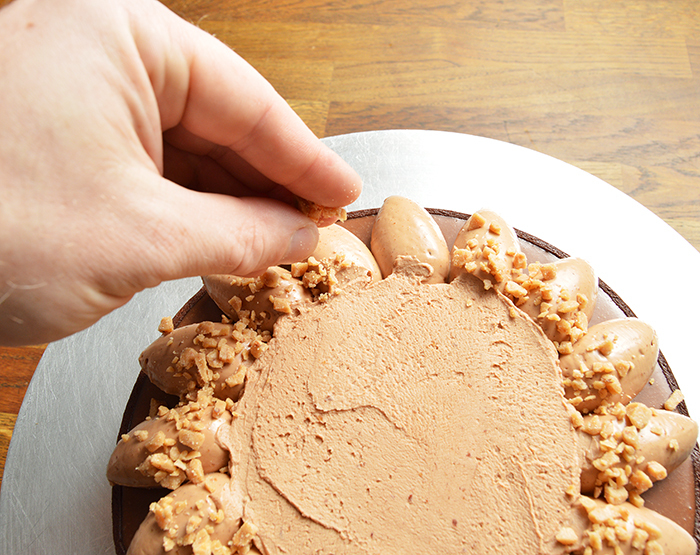 Whip the milk chocolate toffee chantilly until stiff. 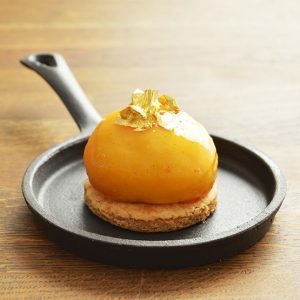 Quenelle the chantilly, placing the quenelles in a ring around the top of the tart. 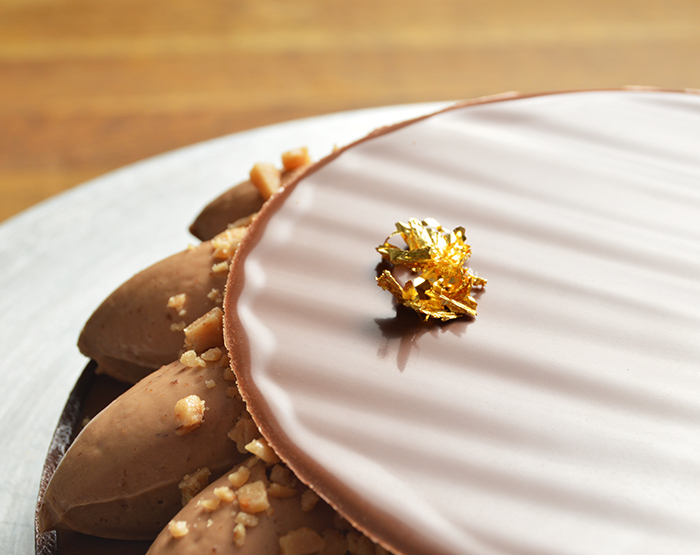 Gently place the chocolate plaque in the center of the chantilly and finish with a little gold leaf.